Dallas/Fort Worth, TX, – Nestled on 2.7 acres in Burleson, Texas, just 20 minutes from Fort Worth and an hour from Dallas, is Casa Incantata. 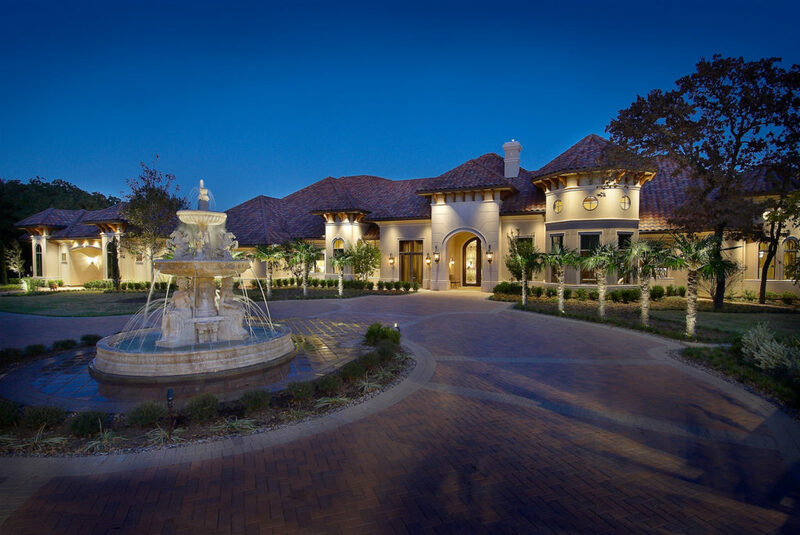 This enchanted Mediterranean inspired manor offers a private utopia surrounded by meticulously manicured landscaping, opulent Italian fountains, and unique features in every corner. Set in the private countryside amongst lush landscaping, this majestic estate provides Tuscan elegance throughout. Casa Incantata will be offered at a luxury no-reserve auction on June 30, 2018, with Supreme Auctions in cooperation with Clifford A. Cline with Century 21 A-One Realty. As you soak in the patio, gardens, pool and water features, you’ll marvel in the plentiful trees, flowers and plants that fill the yard with their artistic allure, you are enveloped in beauty and tranquility in every direction that you look, including the poolside guest casita/cabana. Casa Incantata provides beauty and functionality with a country-like appeal just moments from the city. It’s private without being aloof. It’s luxurious without being pretentious. It’s secure without feeling confined. It truly has something for everyone, all while being within minutes of entertainment, shopping, sports and cultural experiences. This magnificent Texas property, Casa Incantata, will be sold at a luxury no reserve auction on June 30, 2018. To learn more, contact Supreme Auctions at (866) 929-2243 or visit SupremeAuctions.com.